Yeah. Just look at it. Do I even need to write down any of my thoughts, or are we good all just collectively staring at this beauty of a palette? I knew I was going to get this palette from as soon as I first heard about it. NARS just gets me. The dual intensity shadow formula is beautiful, and the two I have I love. I only had one of the shades in this palette, Himalia, (of which 7 are from the permanent line), so it was just legit. 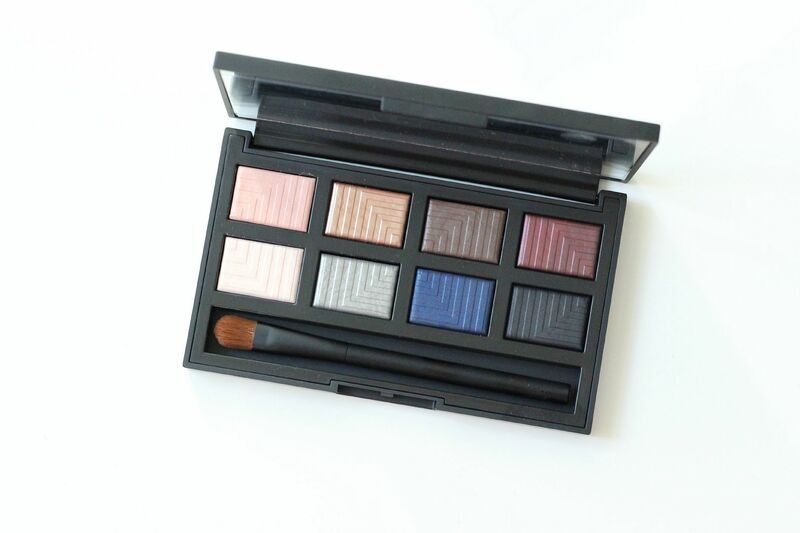 The palette comes with 8 shadows and a fairly decent brush. Europa is a light pinky peach, pretty and light. Not the most pigmented, and nothing amazing. Andromeda is a shimmery white, which reminds me of NARS Albatross. Love this as a brow/inner corner highlight. Himalia is the one I had already, and one I definitely still love. I’ve been wearing this all over the lid a lot, it’s just so easy. It is a golden bronze magical sorta thing, and I love. So shiny. Lysithea is an interesting colour! Love this one. A bit of silver, a bit of green, a bit of blue… really unusual. This one looks especially amazing when applied wet. Ursa Major is a palette exclusive, I believe. It’s a warm, deep bronze shade. Beautiful, I’ve been wearing it a lot with Himalia. Giove is SO pretty. Look at it. 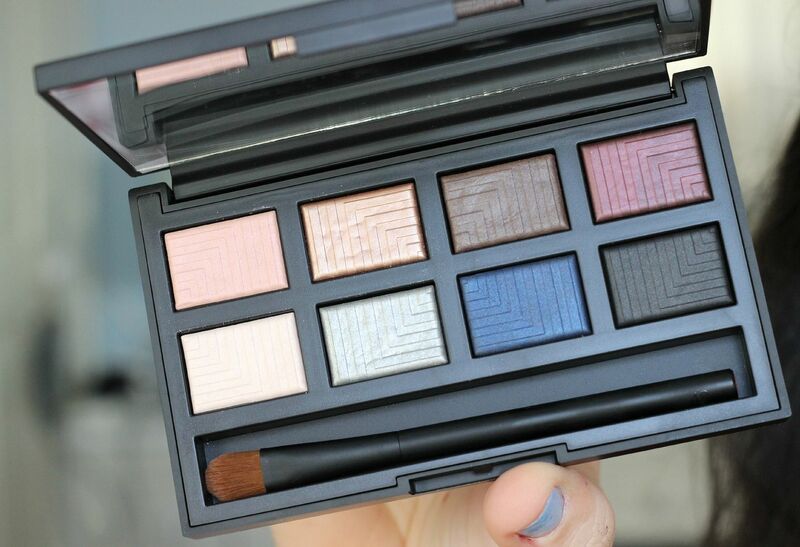 I am not one who usually wears blue eyeshadow, but this one is something special. I wore it today smudged on my lower lash line and it was all kinds of amazing. This shade is so rich and inky. Subra is a pretty darkened plum. Love this one, with Ursa Major it gives an excellent smokey eye. 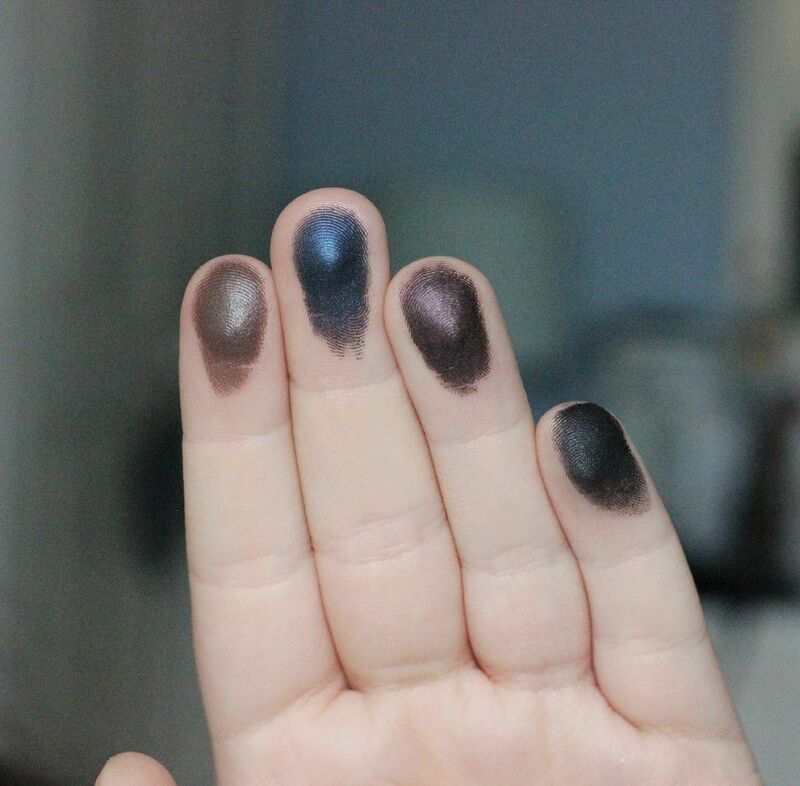 Sycorax is a black that doesn’t apply very well… Lots of fall out and not pigmented enough really. Disappointing, I much would have preferred a purple! I wrote about the formula in more detail here as well, but I’ll jot down some more thoughts. 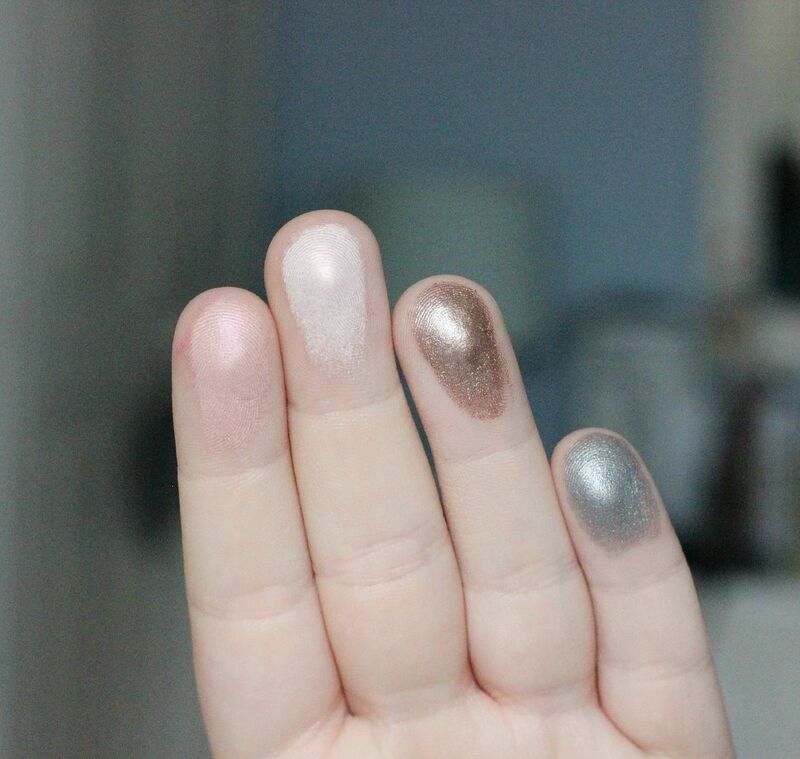 These shadows are smooth and shimmery when dry, and when wet go almost like a cream metallic. Almost foiled. I use a bit of MAC Fix + on my brush to make it wet. A flat shader brush is best for this formula and packing on the colour. If I do use the shade wet I try and keep the ‘wet’ side on one side of the shadow. Does that make sense? As in, once it’s wet it changes the formula a bit, so I keep it half and half. What do you think? You in?